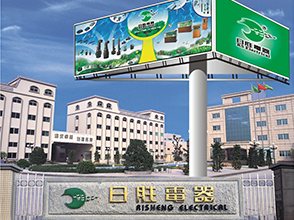 Company Profile-Risheng Electrical Products Co., Ltd.
Risheng Electrical Products Co., Ltd. is located in the famous "China's township Star" - Zhongshan City, adjacent to Hong Kong and Macau. Our factory is a professional aquarium equipment development and production of large manufacturers. With modern plant more than 30,000 square meters, has advanced metal stamping, molding, cast molding, surface treatment, micro-electromechanical manufacturing, and other processing equipment, as well as a modern assembly line and testing equipment. Our scientific management methods, excellent production technology and strict means testing, specializing in submersible pumps, increase pump, heating rods, cylinder filters, filter outside the cylinder, and the fishbowl fish medicine supplies manufacturing and marketing. Existing products based on the continuous improvement of the company to introduce new products, the introduction of new technology, new materials, in time to meet our customer demand for aquatic products. At present, the factory products amounted to more than 80 kinds of aquarium equipment, there are 400 different specifications. Risheng aquarium brand by consumers. The company's products sales network throughout the country, becoming the leader in manufacturing aquarium equipment, and have a good international market. Copyright (C) Risheng Electrical Products Co., Ltd.